After just some short waiting from PC gamers, Mirror’s Edge will be made available for PCs and I personally believe that the mouse + keyboard combination will make the game experience even smoother. However, you are probably wondering if you will get the chance for a smooth experience, right? 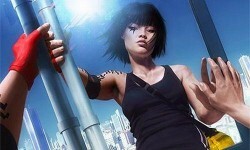 If you do so, we have the PC system requirements for running Mirror’s Edge. We’ll keep you updated if the recommended system specifications are released, but we do believe that they won’t be too much higher than the minimum.